Logitech G is one of my all-time favourite brands. I have used Logitech’s peripherals and hardware for years, and they seldom ever disappoint. With that said, I have recently had the opportunity to review two new products catered specifically toward esport players: the G Pro Gaming Headset, and G Pro Gaming Mouse. For quite some time now, I have used – and loved – the Logitech G502 Proteus Core. Coming from that, the G Pro Gaming Mouse is quite the change, and I dare say, not for the better. As much as I like the brand, I have always felt that Logitech’s packaging and presentation has been pretty average. The company often employs cardboard over plastic, and boxes are usually nice and compact, two aspects I do like. However, I have seen much better packaging and presentation from companies such as Razer. 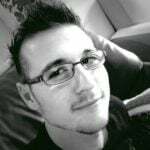 This is not a major slight toward the company, mind you, and acts more as an observation: they appear to rather have their products work, and work well, versus present them in frivolous packaging that makes the products seem better then they actually are. Packaging preferences and observations aside, the box for the Logitech G Pro Gaming Mouse is incredibly basic. Once opened, there is only the mouse, its cable, a wireless dongle, extra buttons, and some documentation. The mouse itself is void of any flashy design. Instead, the company opted for a comfortable grip and design that you would expect from the likes of a workplace mouse. It features two buttons on its left side, and placeholders for buttons on its right side. The extra buttons that come in the box can be placed on the right for extra input options, or to cater for left-handed players who will never use the left-hand buttons. The Logitech G Pro Gaming Mouse features a solid aesthetic with matte plastic and some bits of shiny clear plastic. The wheel also feels good underneath your finger, with slight haptic feedback with every scroll. This feels nowhere near as good as the mechanic switches of the G502, but it still feels like it is built with quality in mind. The buttons included are normal plastic buttons that you can pop in or out of the mouse as they are needed. Clicking them feels natural. They are also not in the way at all, which helps a lot. 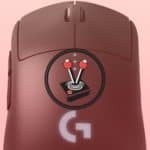 I am unsure whether the left and right mouse buttons are also mechanical, as they are with the G502, but they felt good to click and hardly ever sank too low to count as a click when I rested my fingers on them. The Logitech G Pro Gaming Mouse also has a tiny bit of RGB lighting features! Why? Apparently gamers want RGB on everything. In this case, the big Logitech G icon can light up in just about any colour you deem fit. By default it breathes the iconic Logitech blue, but you can also set it up to pulse fast or slow, only light up when a button is clicked, or not have it light up at all. In terms of connectivity, I must confess that I was surprised by how well it worked. 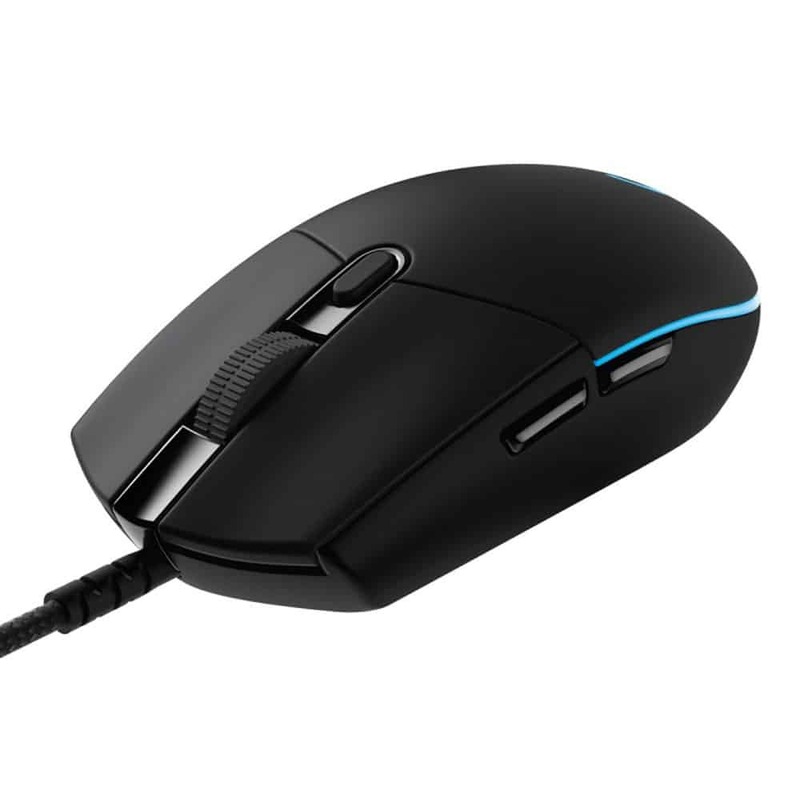 The Logitech G Pro Gaming Mouse is, first and foremost, a wireless mouse. This means that you can use it without any long cables snagging behind the desk, or around a cup of coffee. The wireless dongle is small and also not in the way at all. In order to activate it, you just have to detach the cable from the mouse, and instead attach the dongle to the cable. You can then rest the cable anywhere you like. Obviously it cannot be placed behind a sheet of lead or something, but otherwise it works perfectly. 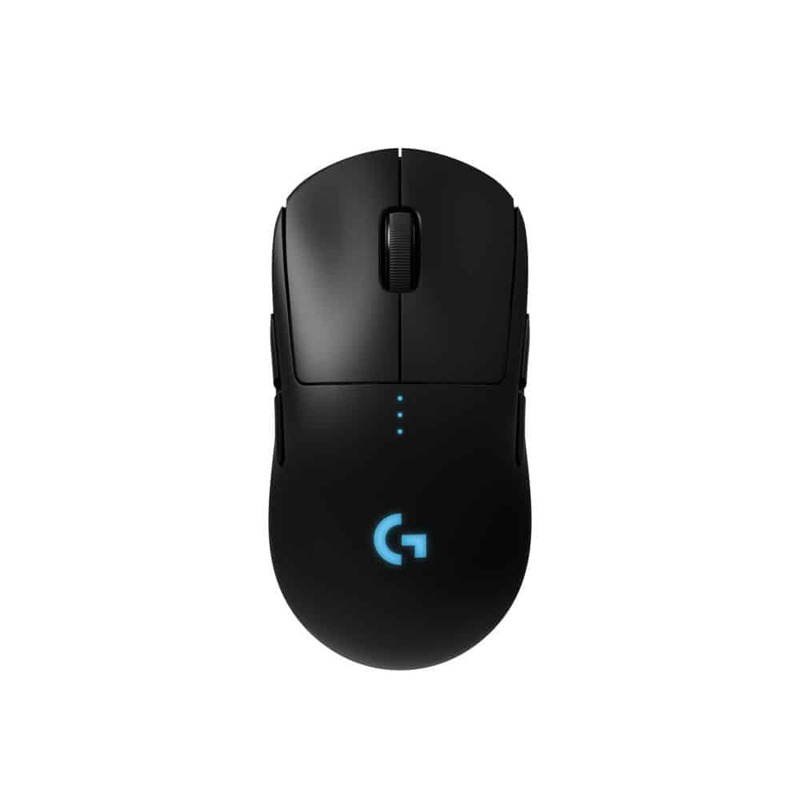 Unlike other mice in Logitech’s lineup, the G Pro Gaming Mouse features the first of its kind Pixel-Precise Sensor. 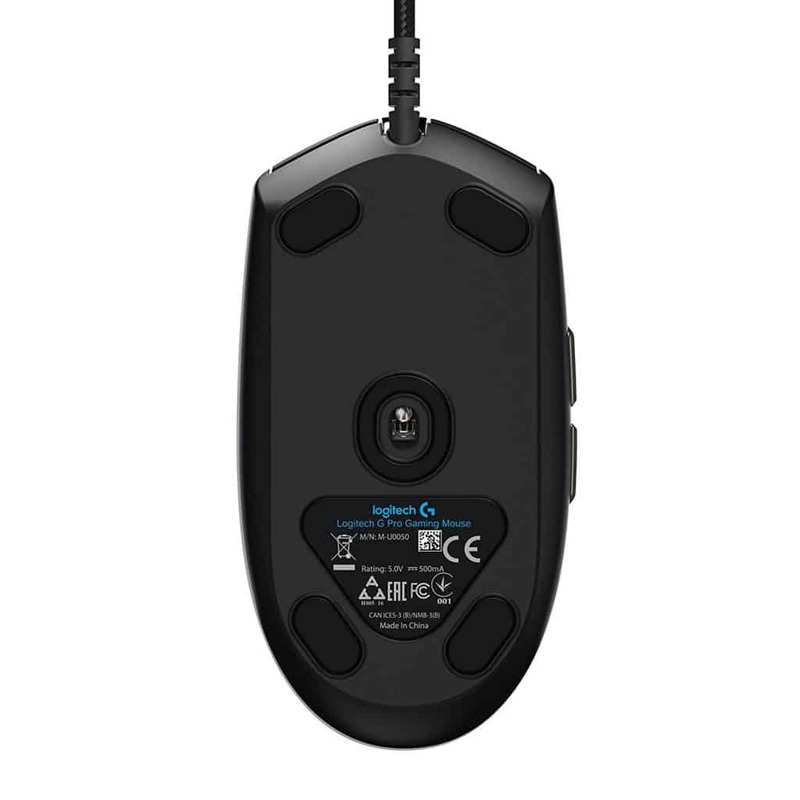 This sensor allows the mouse to have a range of anywhere between 600 to 12 000 DPI. This is an insurmountable DPI range that I only used once during my review process – anything more than 8000 DPI made the pointer impossible to use for me. It is nice that the mouse has this range, however, as it caters to gamers with all kinds of needs. Given the large DPI range, you naturally need some kind of software to manage it. This is where the Logitech Gaming Software comes into play. While it is not a necessity in order to use the mouse, it does allow you to access its many hidden features. By loading into the software, you can set the DPI you would like to use, and what profiles you would like to use it with. By using profiles, you can set the default DPI for different games if you so wish, and also set up macro keys, which is where the additional buttons come into play. While the buttons traditionally work only as back and forward functions, you can set them up to do just about anything else thanks to Logitech’s software. I hardly ever found myself playing around with these options, as a back and a forward button is essential in my workplace and gaming area. In my opinion, using the same buttons for anything else feels ‘out of place’ when you take into consideration where they are situated. 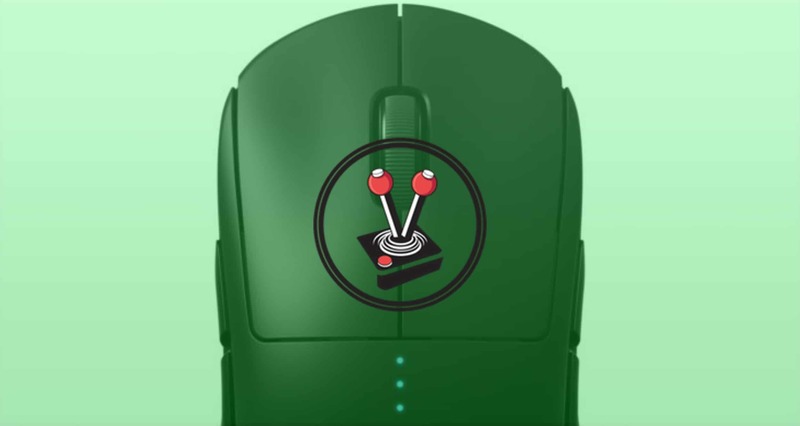 That said, you can also pop buttons onto the opposite side of the mouse. I used those for DPI switching, since I dynamically set DPI lower when I try to aim in games. Furthermore, you can also use the software to set the type of desk that you use the Logitech G Pro Gaming Mouse on. This is a crucial thing to do, since different kinds of materials work differently with the new sensor. By calibrating the material, you will be sure to always have the sensor work perfectly. The G Pro Gaming Mouse has a lot going for it by way of consistency and reliability. However, it seriously lacks in just about every other way that you might expect from a ‘premium’ gaming product line. When compared to the likes of the currently available G503 Proteus Core, the only thing working in its advantage is the fact that it is wireless, and that it costs slightly less. The G Pro Gaming Mouse has a lot going for it by way of consistency and reliability. However, it seriously lacks in just about every other way that you might expect from a 'premium' gaming product line. When compared to the likes of the currently available G503 Proteus Core, the only thing working in its advantage is the fact that it is wireless, and that it costs slightly less.